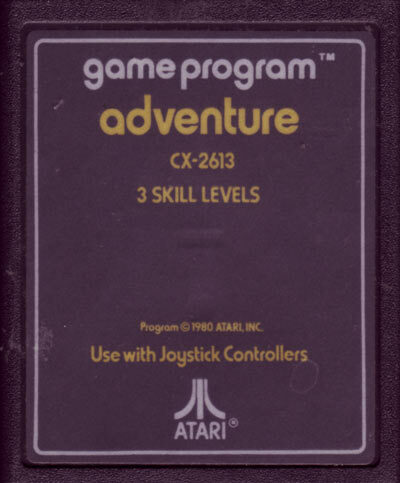 Fascinating 2600 related project can now be found at "http://benfry.com/distellamap/" where they took the code and data from model 2600 cartridges, and made maps/artwork out of 'em , they're meant to be compared along side each other. Every branch opcode has a curved line connecting From -To . 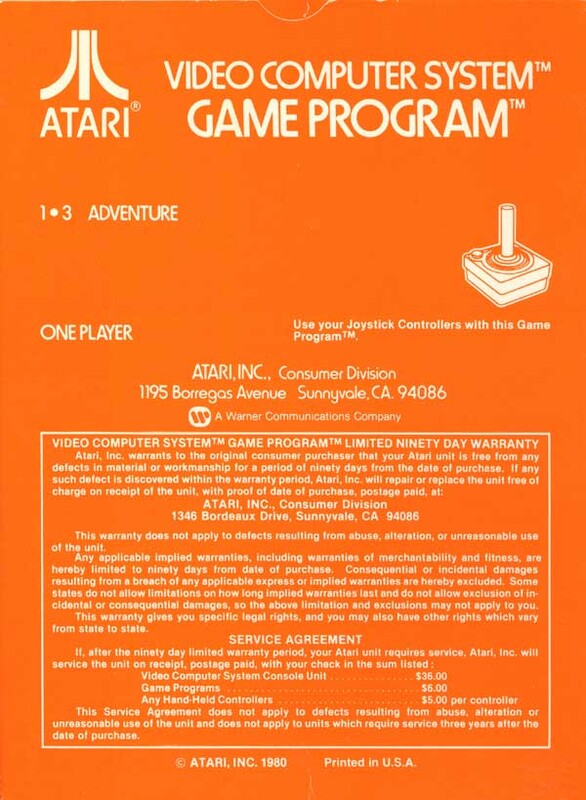 On site welcome page right now are 6: Adventure, Air Raid, Combat, Pac-Man, Pitfall!, and Q*Bert. 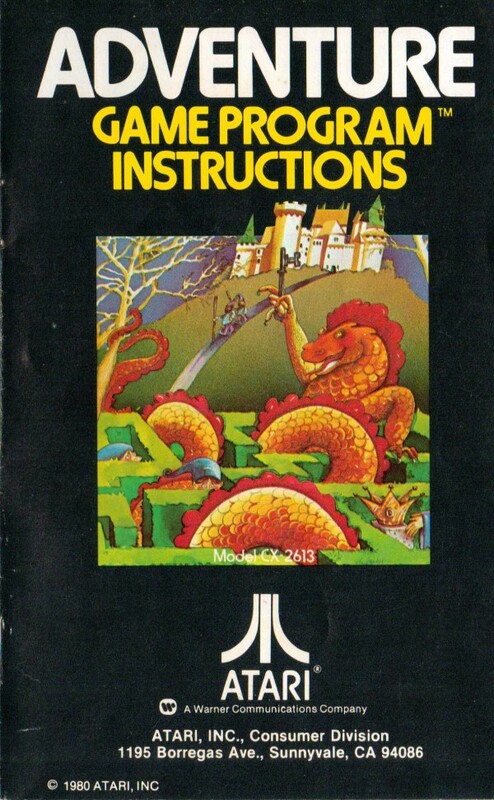 The interesting ones are Pac-Man in which the ghosts' AI logic is Byzantine with branches, and, Adventure in which the famous Easter Egg text is in plain sight and if one prints Adventure as a poster it can be seen in like the same "font" how game is played. 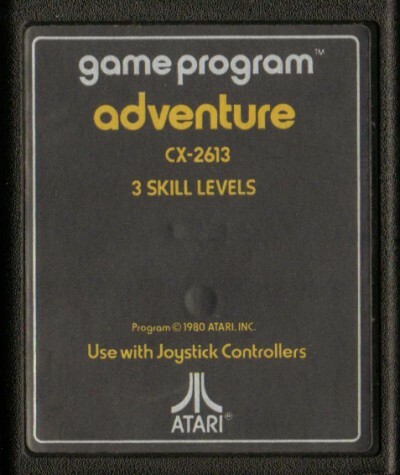 Latest info is "Adventure II" whatever that is was made for both the 5200 and 2600 models. Yet to try it. 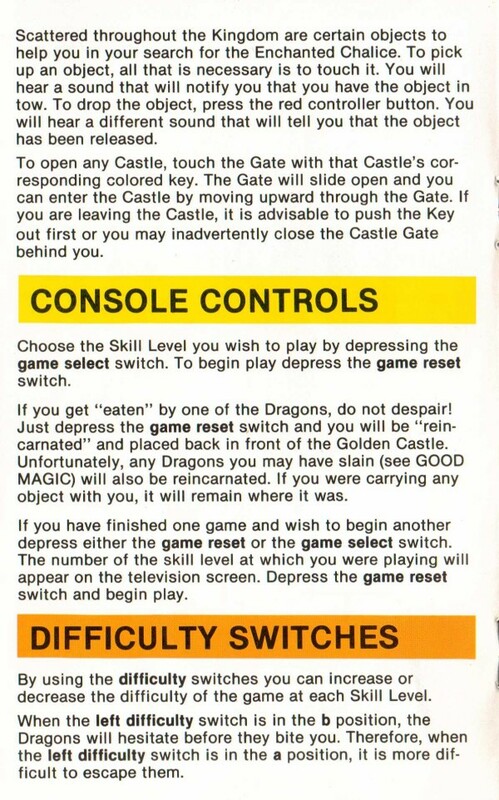 And I tried Star Castle for 2600 and didn't seem to work. The file was like 30KB when all other 2600 games are either 4 or 8K so what are they trying to pull? 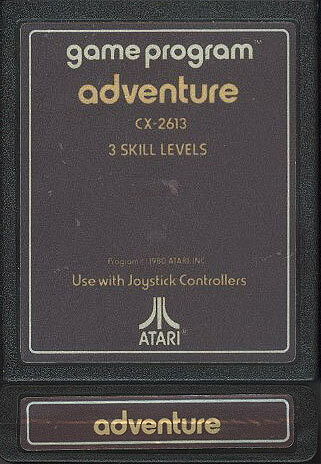 There is a new game called "Adventure II" made for model 5200, can be found thru Web searching. I haven't played yet, pictures are fantastic. 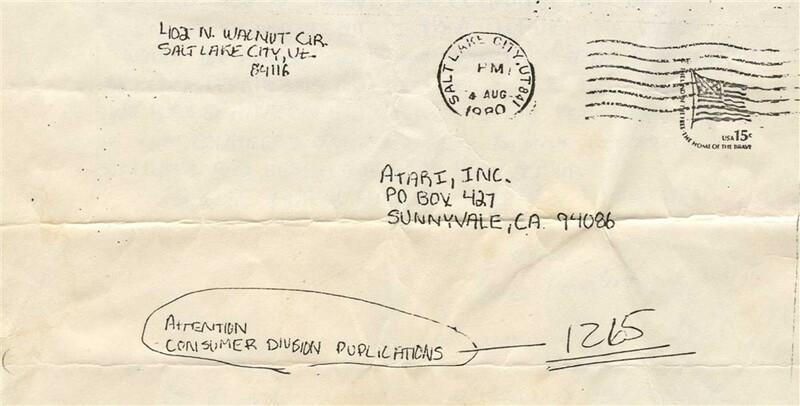 I heard "the dot" and accompanying room with Namett amounted to 5 percent or more of the total program code and he would've been fired if Atari found out. To save bytes essentially making this game possible, all but 1 or 2 of the rooms are mirrored images left-to-right. There's half as much data than you think you're seeing. And the Bat has a one-of-a-kind Name too, "Knubberrub". 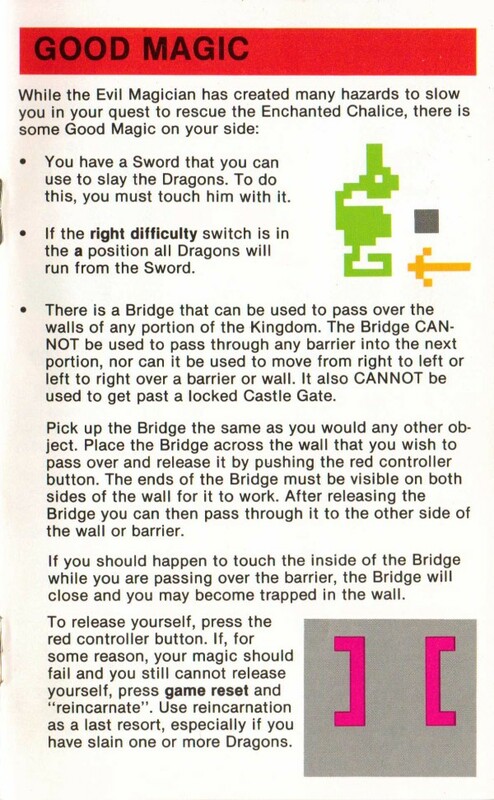 Have you ever used the bridge to get what we called the dot? Once you have the dot you can break through the solid line wall and see credits. Exciting stuff back in 1984. 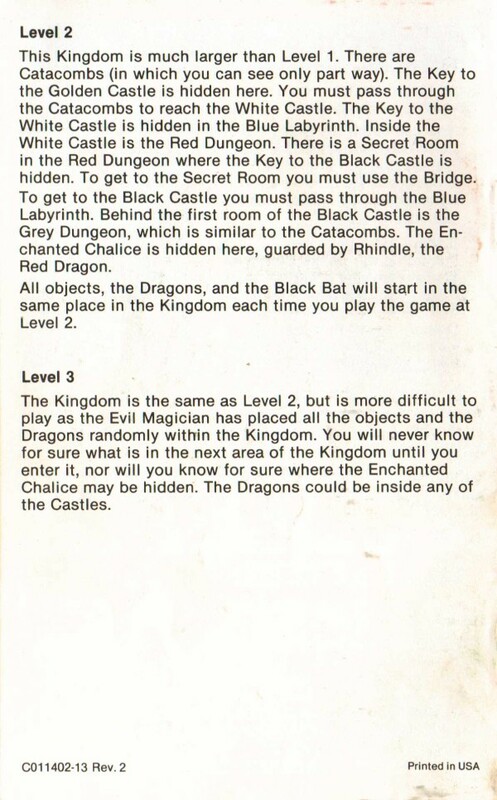 We used to make up add'l rules for the games, like - All dragons must be dead, bat must be trapped in a locked castle, ALL items in the gold castle, etc. 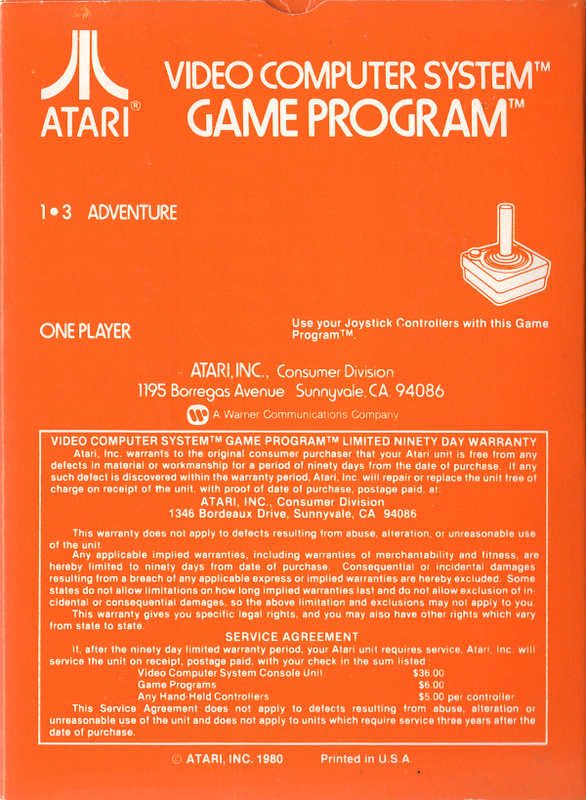 Classic game, though it wasn't actually released until mid-79, despite having been initially completed (and then largely abandoned) in 78. How important is this game in the history of video games? Well, it's the first multi-screen graphical adventure game ever made and also the first game to ever contain an easter egg. 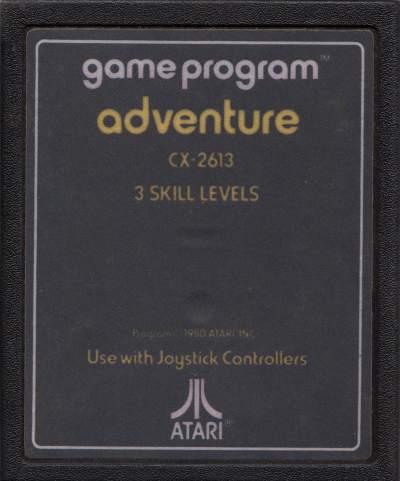 This is a cornerstone of the 2600 library and one of the grandfathers of modern gaming. And it still holds up today! 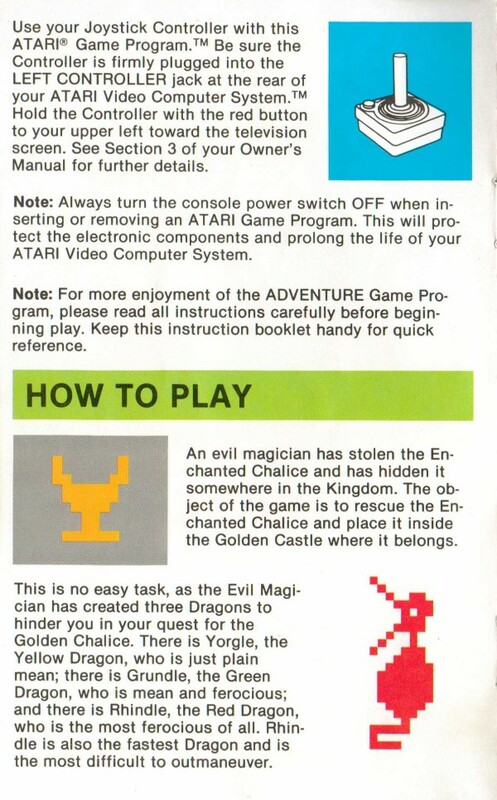 Besides an obvious classic and groundbreaking game, it was also possible to set up your own puzzles for your friends by hiding the keys and goblet where you wanted. We used the magic dot and hid it in other places, making them even more difficult. Awesome stuff for 1980! 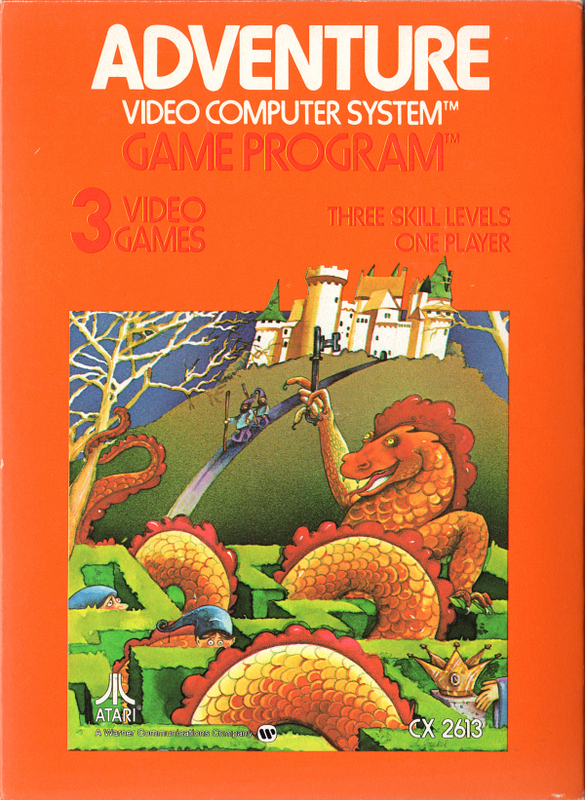 Arguably one of the best adventure games for the Atari 2600, the object of the game was to guide your heroic adventurer through a magical and dangerous land on a quest to recover the lost and fabled chalice which had been stolen by three marauding dragons named Yorgle, Grundle and Rhindle and return it back to its rightful place within the gold castle. 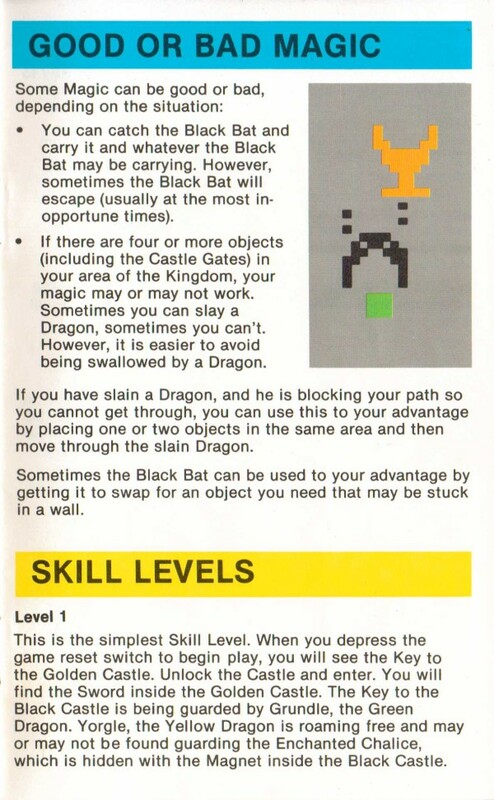 Added to the problem of the dragons you also had to contend with a thieving black bat that randomly flew around the land stealing anything that it fancied (including dragons). 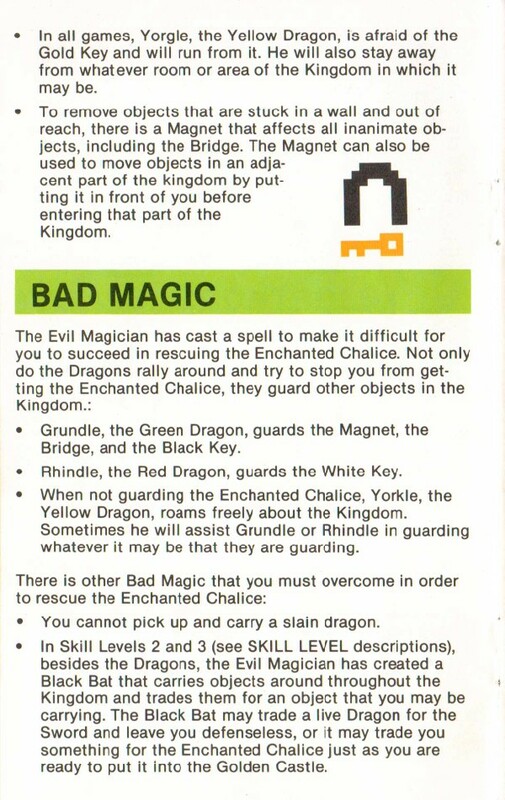 Quite often you would recover the chalice only for the bat to swoop onto the screen with a dragon in tow, steal the chalice and leave you with a less than happy dragon to contend with. 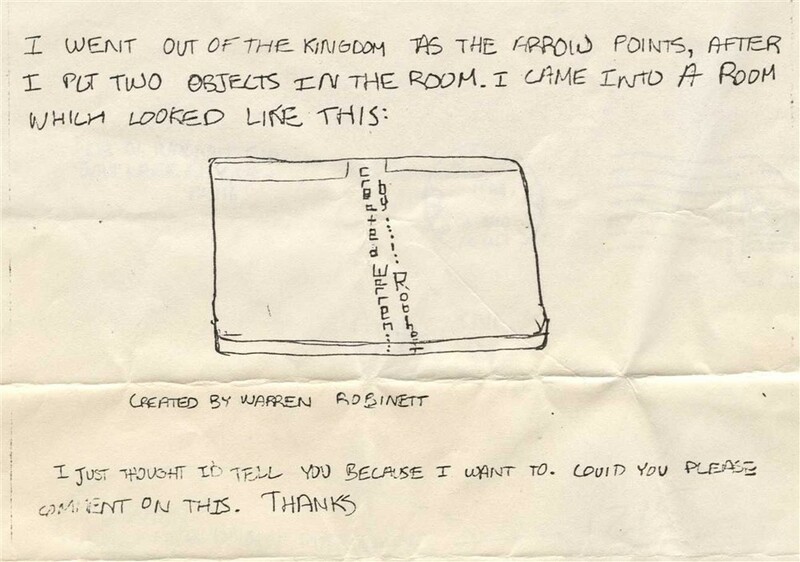 This game was the first to possess a secret room which contained the designers name, Warren Robinnett. 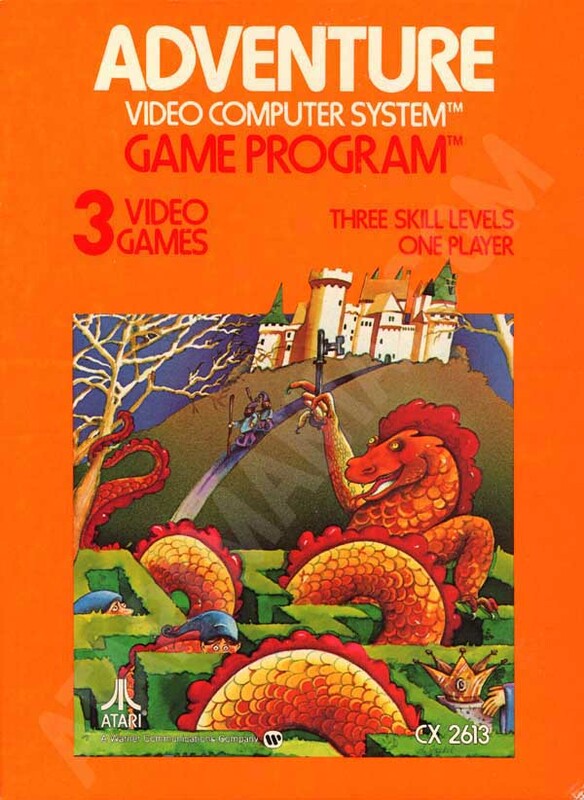 Although graphically it was very poor (your adventurer little more than a small square and the dragons were hard pushed to be recognised as dragons) the intense game play and complexity of the game itself made Adventure a fun challenge no matter how many times it was played. 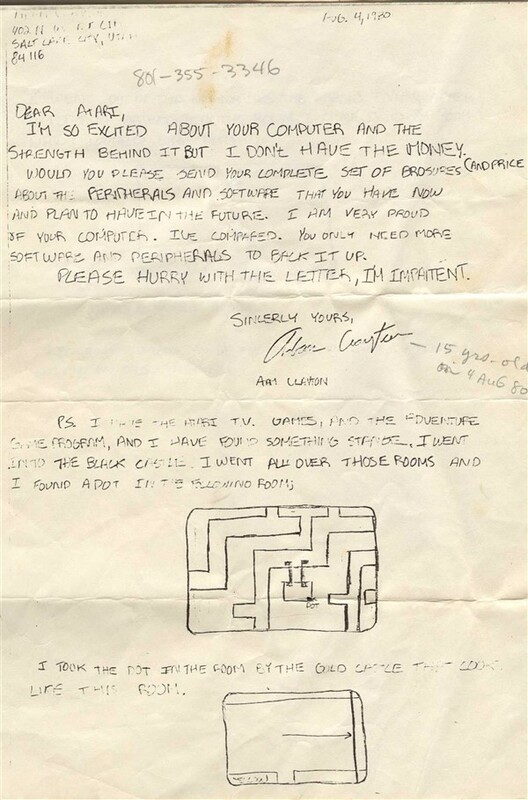 One of the first video games to contain a secret message. Find the dot in the black castle. 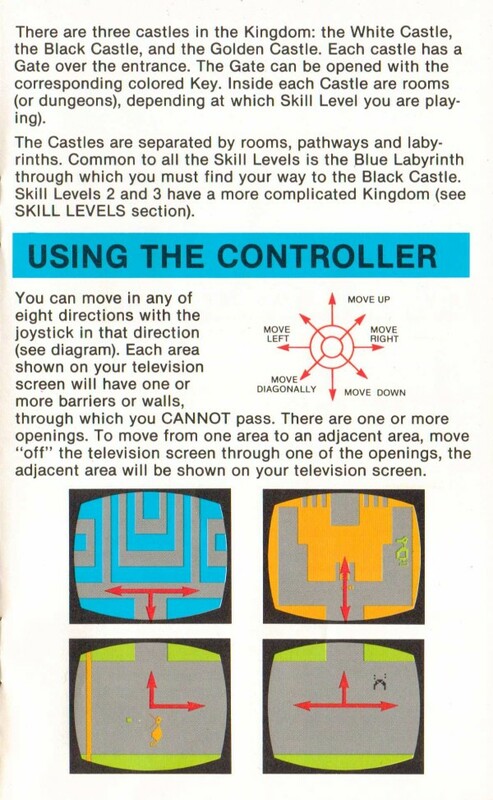 Then drop the dot and two other objects (except the bridge with the sword, chalice or magnet) in the room down and to the right of the gold castle. Pass through the barrier to reveal the message: Created by Warren Robinett.